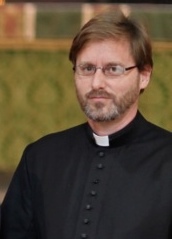 Father Jonathan Kester has been Parish Priest of Emmanuel since 2008. Born in Rawalpindi, Pakistan, he was later raised in Chichester, West Sussex. After graduating in Theology from the University of Exeter and a time as a nursing auxiliary in the west country, he became a pastoral assistant and youth worker on the Root Group at the Cathedral and Abbey Church of St Alban. He undertook formation for ordination at the College of the Resurrection, Mirfield, being ordained deacon in 1993 and priest in 1994 to serve as curate of St Mary’s, Cheshunt with St Clement’s, Turnford in the Diocese of St Albans. In 1996 he moved to the Diocese of London to serve as Chaplain to the Bishop of Edmonton and as Media Adviser and Press Officer for the Edmonton Episcopal Area, serving also as honorary curate of Christ Church and St Mary Magdalene, Munster Square. In 2000 he crossed the border into the Diocese of Chelmsford to serve as Vicar of St Mary’s, Great Ilford, an urban and multi-cultural parish in the East London Borough of Redbridge. Throughout his ministry Fr Jonathan has maintained an interest in inter-faith friendship and dialogue. Alongside his role at Emmanuel, Fr Jonathan also served for eight years in the Diocese as one of the team of Directors of Ordinands working in the area of discernment of the vocations of future generations of clergy. He continues in a wider capacity as a Bishops’ Adviser for the selection of new clergy on national panels. Fr Jonathan serves as Area Dean of Camden, comprising the deaneries of North Camden and South Camden, working together as Anglicans in Camden and currently also as Priest in Charge of our sister parish St Cuthbert’s, West Hampstead. Fr Jonathan has had a life-long interest in music of all kinds and is particularly interested in how music and liturgy connect us with the eternal and generous heart of God. He serves as a spiritual director, having trained at the London Spirituality Centre. He is an oblate of St Benedict’s Priory, Salisbury (formerly Elmore and Nashdom Abbeys) and a member of the Society of Catholic Priests, a devotional society of women and men who are called to the historic three-fold office of bishop, priest and deacon. Beyond the Church he is a member of the Fabian Society and a Fellow of the Royal Society of Arts. In his spare time he enjoys travel, theatre, cinema, a rich diversity of music (playing the piano and organ when no one else is listening! ), cycling, iyengar yoga and driving his Mini Cooper! Mother Annette Fritze-Shanks, has been self-supporting Assistant Priest at Emmanuel since 2009. Her early life and education was in Australia where she trained in education and then in law at the University of Sydney, moving to London to practice as a lawyer over twenty years ago. Mother Annette received her formation for ordination on the South East Institute of Theological Education based in Southwark. 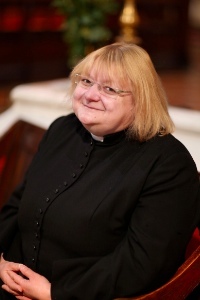 She was ordained deacon in St Paul’s Cathedral in 2004 and priest in 2005. She served as curate of our neighbouring parishes of St James’, West Hampstead and St Mary’s with All Souls’, Kilburn, before moving to Emmanuel, where she gave pastoral and sacramental cover during much of the vacancy before Fr Jonathan arrived. Mother Annette’s other interests in ministry include marriage preparation and hospital chaplaincy, including an extended placement at Great Ormond Street Hospital for sick children during her training. Here at Emmanuel Church, she plays a full role in the sacramental life, ministry and outreach of the parish and in our Christian education and pastoral care. Mother Annette is a self-supporting priest and works full-time during the week as a solicitor in the City of London. Father Regan O’Callaghan is a full time artist and iconographer who resides at Emmanuel Vicarage when he is not abroad on artist residencies. He has permission to officiate in the Diocese of London and so has the role among us of an honorary associate priest at Emmanuel, ministering once a month to our 9.15 am congregation. Fr Regan was born and raised in New Zealand, coming over to the UK to work and study. He received his formation for ordination at Westcott House, Cambridge serving initially in stipendiary ministry in parishes in the Diocese of London. In recent years the focus of his ministry has moved to art and he works now professionally as an icon writer. Those who paint icons are known literally as icon writers, rather than icon painters. Fr Regan wrote the icon “Jesus of Emmanuel” which hangs in the main entrance of the Omega building at Emmanuel School. dedicated by the Bishop of London at the official opening of the new school buildings in September 2013. He has undertaken an icon writing class for members of Emmanuel Church and we look forward to more of these in the future. For more information on Fr Regan’s artistic work, where you can also see the icon “Jesus of Emmanuel”, please click here. 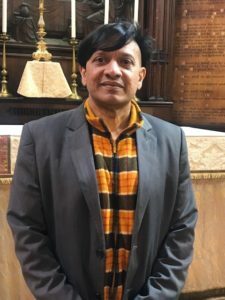 The Churchwardens at Emmanuel are and Robert Cox (pictured left) and Harin Perera (pictured right), elected at the Annual Parochial Church Meeting, not only to be the people’s representatives, but also to serve in a lay capacity as Bishop’s Officers. Robert was brought up locally here in London, but lived for some years in Australia. During his early childhood he some years living in Africa where his father was posted. Harin was born and raised in Sri Lanka, but has lived here for many years. When not at Emmanuel he works at Moorfields Eye Hospital and also plays in a band. They have a particular brief for the fabric and buildings of the Church, but also share in the pastoral care of all the parishioners, as well as keeping the clergy under control! They co-ordinate the ministry of welcome and hospitality on the main door of the Church and are always available to answer any queries or to give further information about the diversity and breadth of life at Emmanuel. Emmanuel’s Administrator is Nicki Siddall who works in a part time capacity, usually on Monday mornings and Wednesday and Friday afternoons in the Parish Office which is off the bell tower porch and up the spiral staircase above the Nazareth Chapel. Nicki can be contacted for all matters to do with hiring the rooms in the Community Space at the west end of the Church and for general parish matters. She can be contacted through the “Contact us” section of this website by clicking here or by phoning the main Church number on 020 7435 1911 or by emailing the office at emmanuelnw6 @ gmail.com (without spaces). Rob Marshall is Emmanuel’s Treasurer. He has responsibility for all the financial matters of Emmanuel, preparing the accounts for the Annual Parochial Church Meeting in April each year and liaising with our independent financial examiner, Patricia Nicholson. Rob also ensures that the annual Charity Commission returns are submitted on line each year by the due date and that we are compliant with all charity legislation and requirements. On a day to day basis he is ably assisted by our parish book-keeper and assistant treasurer, Diana Malzer, who ensures that all our bills are paid on time and that we are up to date financially as good stewards of all that God has given us. Rob would be happy to talk to you about any matter of Emmanuel’s finance, both in our day to day housekeeping and in our major building development project to make Emmanuel Church a resource for the whole local community in all its diversity. 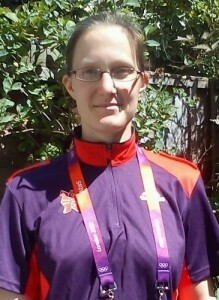 Clare Fuller is Emmanuel’s Parochial Church Council Secretary. She takes the minutes at all meetings of the Parochial Church Council and handles correspondence between meetings. This is made up of the ex-officio members – the licensed clergy of the parish, the churchwardens and five members of the North Camden Deanery Synod and up to twelve elected members of Emmanuel Church. The members of the PCC serve as Charitable Trustees of the Ecclesiastical Parish. Chris Boustred is Emmanuel’s Gift Aid and Stewardship Secretary. Chris is responsible for all giving in the parish made under the system of Gift Aid – which enables us to claim the tax back on all giving by UK tax payers, thereby increasing the gift by 25%. This really helps us in enabling the mission and ministry of our Church. 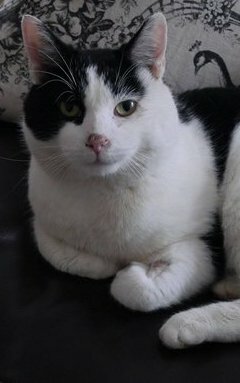 Gift Aid forms can be found on this website, at the back of church or can be emailed to you directly. Chris makes the periodic online returns on behalf of Emmanuel and she is always available to talk about the most efficient means of giving to the Church. We are most grateful to all who so generously support our mission and ministry financially, as well as in other ways, and to Chris for ensuring this is done as efficiently as possible. Further details on how to give to Emmanuel may be found on the “Giving” page of this website. Diana Malzer is Emmanuel’s Electoral Roll Officer. The Electoral Roll is the formal membership list of all members of Emmanuel Church who are sixteen years of age and over. The Electoral Roll is fully revised every six years, but each year it is updated in time for the Annual Parochial Church Meeting in April, with new members being added and those who have moved away or deceased removed. To serve as Churchwarden or on the Parochial Church Council (PCC) a member has to be on the electoral roll of a parish, which also gives members voting rights at the Annual Meeting. Emmanuel’s Electoral Roll currently stands at 311. If you are not yet on our electoral roll, Diana would love to hear from you. Annette Fritze-Shanks is Emmanuel’s Safeguarding Officer. 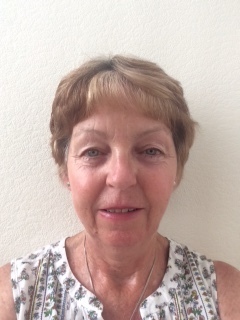 Her role is to ensure that we are compliant and up to date with all aspects of safeguarding in the parish – especially of children and vulnerable adults, keeping the PCC and wider congregation up to date with changes in Safeguarding legislation and best practice in ensuring that all are safe in the church family here..
She oversees the Disclosure and Barring Service (DBS) checks on those with roles of particular responsibility within the parish as the evidence checker for the documentation. For all matters of Safeguarding at Emmanuel, please do not hesitate to speak to Annette. For the parish Safeguarding policy and procedures please go to our dedicated safeguarding page by clicking here. Casey Hammett is Emmanuel’s Children’s Champion. The role of the Children’s Champion is to ensure that the voice of children and young people are heard within the parish and that their perspectives and wishes are reflected as full and valued members of the congregation. Children are encouraged to talk to the Children’s Champion about any matters of concern to them in the life of the Church. The Children’s Champion works actively with the Safeguarding Officer and the parish clergy to inform and report of concerns and to see that they are appropriately discussed, seeking support and advice where necessary. At Emmanuel children are very much the church of the present as well as being our bright hope for the future. 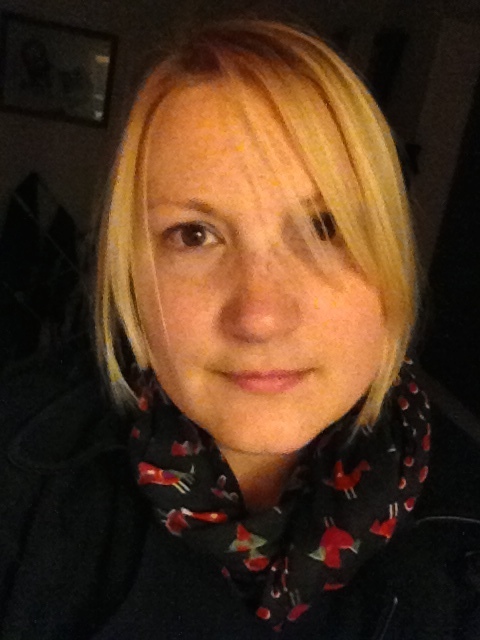 Claire Hammett is our Children’s Church Co-ordinator. She co-ordinates the team of volunteer leaders and helpers of our growing work with children in the parish on Sunday mornings. She also co-ordinates our periodic “Messy Church” which takes place on several occasions throughout the year, such as on Shrove Tuesday, Easter, during the summer or at All Saints-tide. In a Church with such a large number of children among the congregation, this work is central to our ministry since children are not just the church of tomorrow, but fully part of the church of today. We are always in search of new volunteers in this crucial work. If you would like to help in this area please speak to Claire or Fr Jonathan after the Sunday morning Eucharist or contact us via the “Contact us” section of this website. Andrew Kwan is Emmanuel’s Organist and Director of Music. He has responsibility for all the liturgical music of the parish and in directing and training both the adult and children’s choirs. He also has responsibility for the organ and musical instruments belonging to the parish and ensuring that they are tuned and regularly maintained. 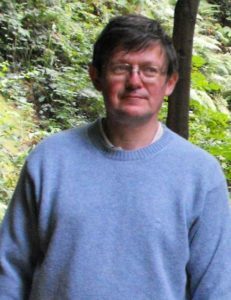 After his education as a music scholar at the Royal Hospital School, Andrew was organ scholar first at All Saints, Harrow Weald and then at St Mary’s, Harrow-on-the-Hill. He has been Director of Music at St Mary of Eton, Hackney Wick and comes to us from the Church of the Ascension, Wembley Park. Andrew has an interest in a wide variety of music genres, including jazz. In his spare time he enjoys a wide variety of sporting and outdoor activities. Ambrose keeps us all up to speed and ensures that we are all doing what we should be doing..! International concert pianist Maria Garzon keeps her concert grand piano at Emmanuel. Maria is Spanish, but spent much of her childhood in Africa. She went to school at the French Lycée and later studied music in Spain, at the Salzburg Mozarteum and the Universities of Lubeck and Cologne, before moving to London. Maria has performed all over the world in such venues as the Wigmore Hall and Queen Elizabeth Hall in London, Carnegie Hall in New York, the Athenaeum in Madrid, the Athenaeum in Athens and the Mozarteum in Salzburg to name but a few. She has also taken part in a number of music festivals including Salzburg, Granada, the Canary Islands, Thessaloniki, Buxton and Malvern. Her first CD of Spanish piano music was awarded “Best CD of the year” by the English Retailers’ Association. She was also commissioned by the Rodrigo family to record his piano works as a celebration of the maestro’s 95th birthday, and is one of the few pianists given the composer’s blessing to perform his works. She has also recorded the piano music of Edward Elgar and the first to record the original piano version of the Enigma Variations. She has rediscovered the works of Czech composer J. L. Dussek and had recorded three of his piano concertos with the Reinisches Kamerorchester for the label Koch/Schwan in co-production with the WDR in Germany. Her recordings also include the complete piano sonatas by J L. Dussek for the label Heritage. In October 2012 Maria recorded Viktor Ullmann’s four last piano sonatas and recently produced the documentary “Viktor Ullmann – Biography of a Recording” which sets the composition of the sonatas in the context of Ullmann’s confinement by the Nazis in Theresianstadt and his subsequent murder in Auschwitz. As well as performing, Maria has give master classes and lectures at the Royal Academy of Music and Morley College in London and as far afield as the Music Conservatoires in Uralsk, Barbados and Beijing. When not travelling, Maria lives locally in West Hampstead and she oversees the new Emmanuel Church concert series as we aspire for Emmanuel Church to be a venue for music and the arts at the heart of the local community.